As you already know that blogging is all about getting traffic and converting that traffic into money. The traffic you get from search engines is called organic traffic. After writing so many great posts/articles you might be worried about the traffic your blog gets from various search engines. And if you are not getting the amount of traffic you deserve, you must learn some on-pageseo tricks. 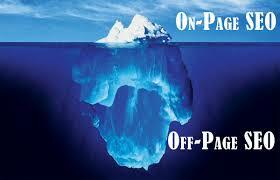 SEO on page will look after the amount of visitors to your blog. So if you want some more traffic from search engines, you must do some on page seo optimization before publishing your post. You can read about the best seo tool in my in my previous post here. 1. Chose your keywords carefully. 2. Choose a title that contains the main keywords. 3. And the most important thing, you must choose a related keyword about your niche which should be "democracy" in my case. # Before you write any article for your blog next time, write a keyword rich title and a keyword rich description for each and every article/blog post for seo on page. # First you must make sure that your main keywords do not exceed 3% in the whole article. # And then you must provide a parent keyword to your main keyword. Remember: Making sure that your main keywords do not exceed 3% will surely increase your traffic. But how will you decide whether your article exceeds the limit or not? The best way to avoid the measurement process that does not affect the seo of your article is to use your main keyword in the first paragraph of your article and then three times in the middle and another time at the end. # Highlighting your keywords makes it easy for the search engines to identify that your article is based on those similar keywords. So make your keywords bold or italics. # Interlinking is also an important aspect of on page seo. Whenever you publish a new article, you must link back the new article with your other articles with related keywords. # Before you publish/post your article provide at least one external link and use a nofollow tag because if you use the nofollow link search engines will ignore that link. # If you are using blogger then your blogger platform does not provide this option. It means that you won't be able to provide or add description to your images. But it is very important for every little traffic counts. So just write 'alt=DESCRIPTION' in the image tag and you are ready to publish your post after doing all the necessary things for seo on page.